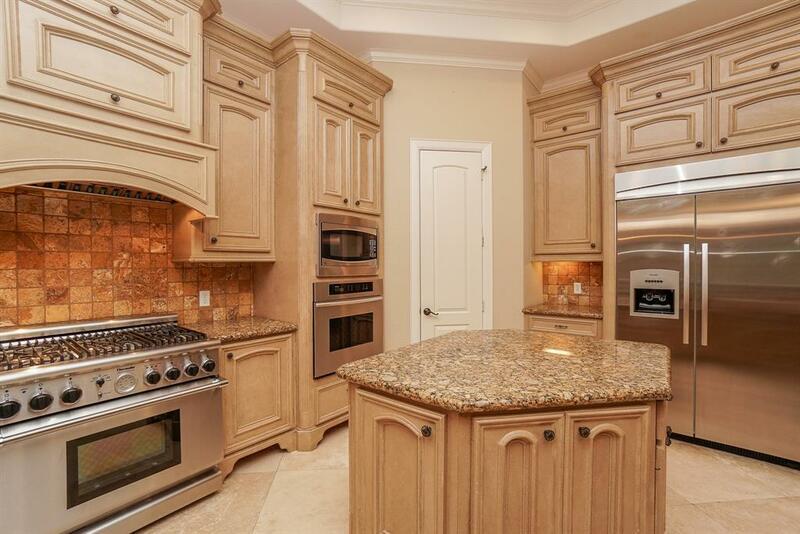 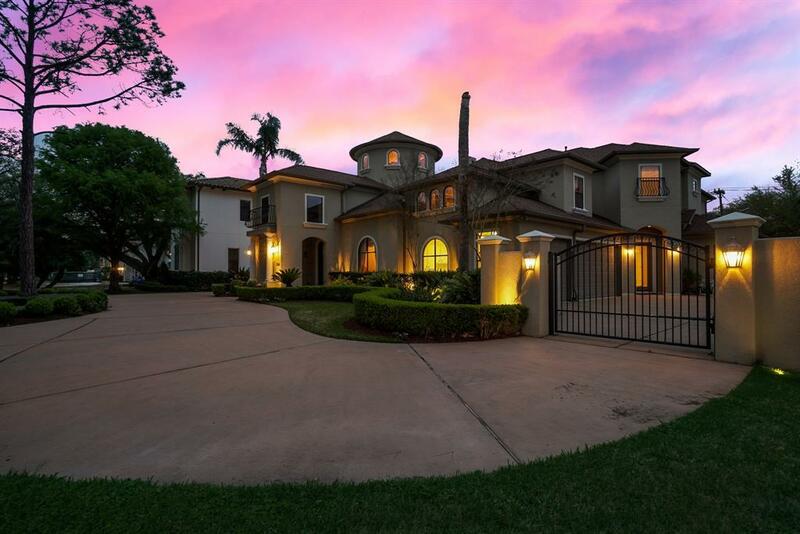 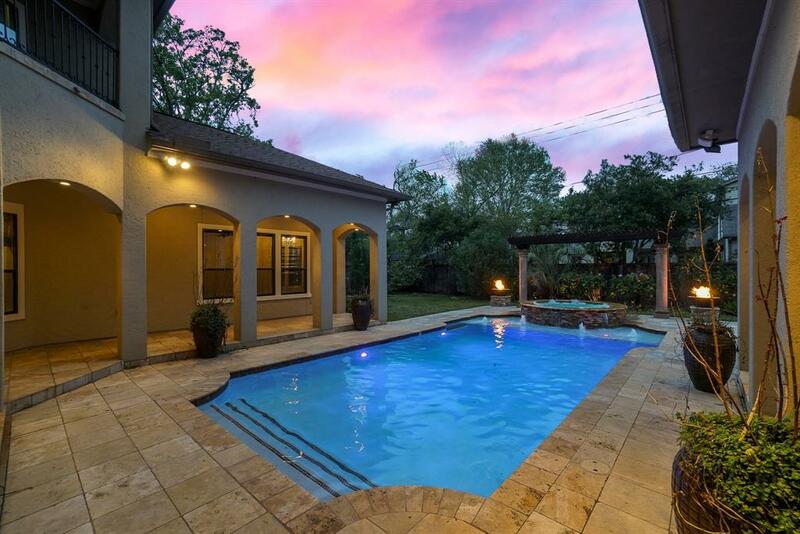 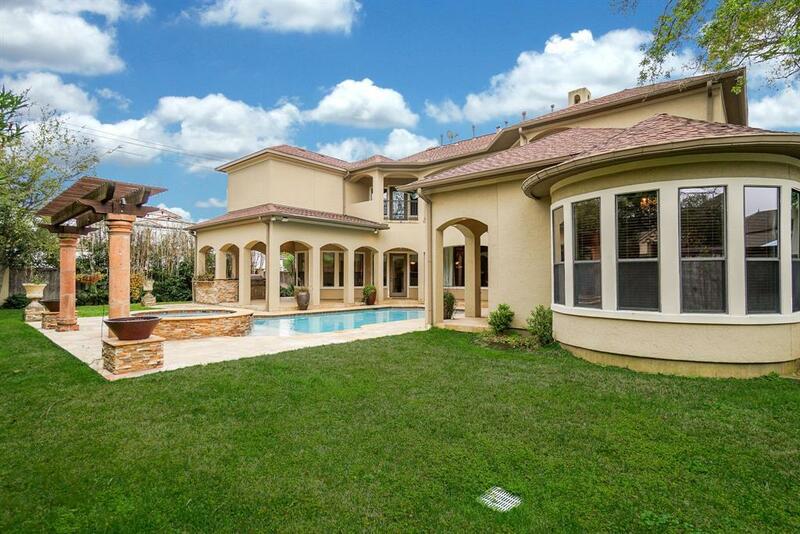 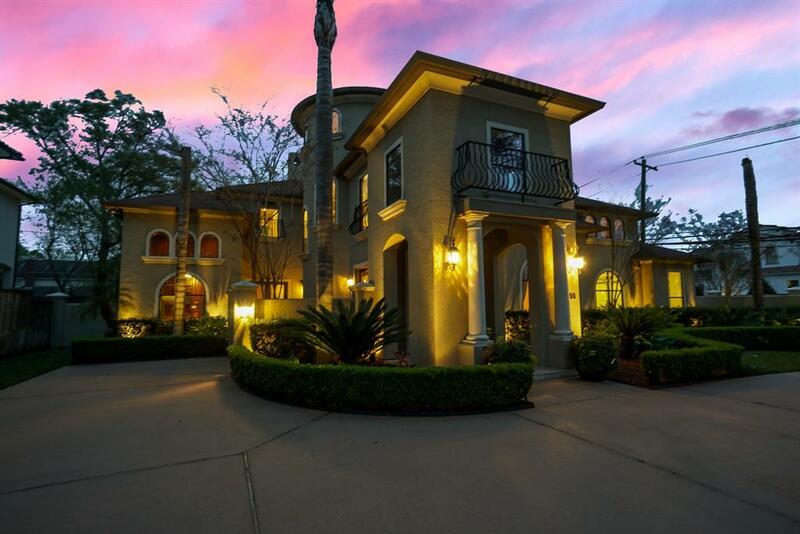 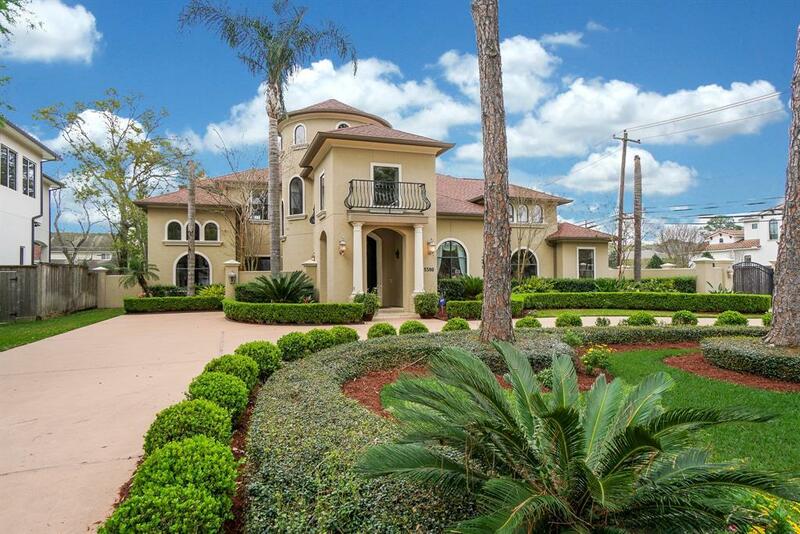 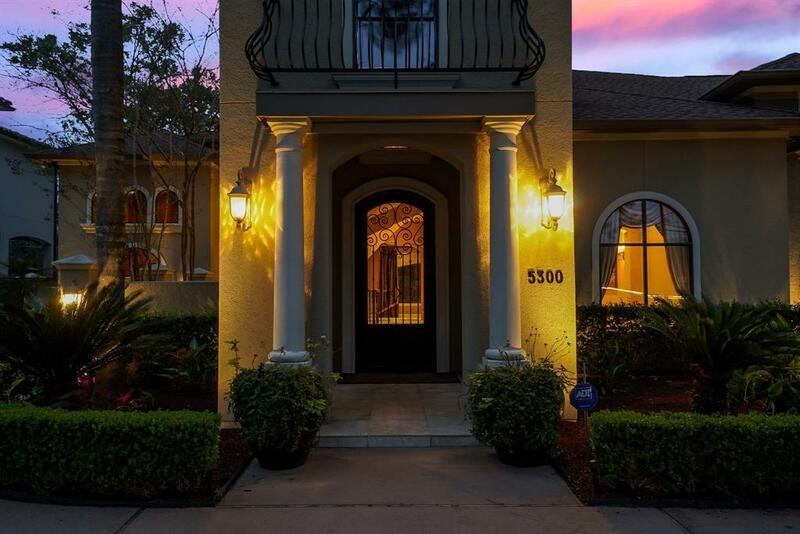 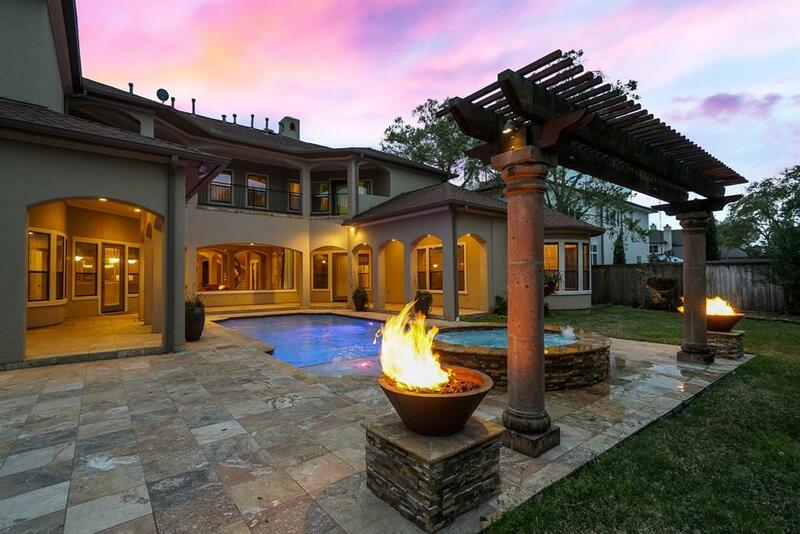 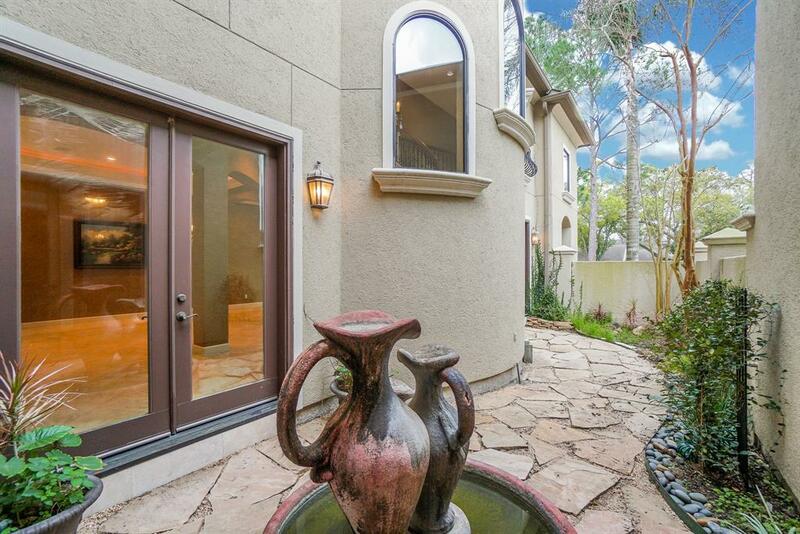 Majestic Mediterranean home in sought after Braeburn Country Club Estates in the City of Bellaire. 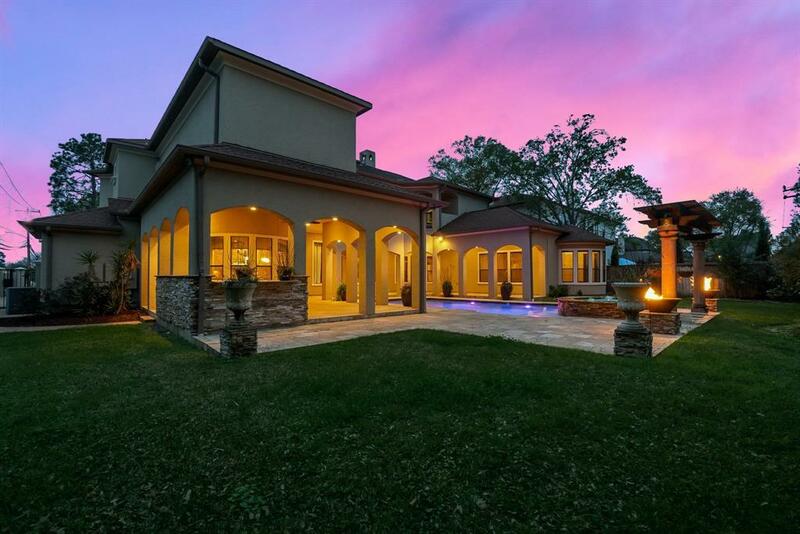 This custom home is crafted w/ high end finishes & offers 5 bdrms, 5 baths & 2 half baths on a coveted .47 acre lot. 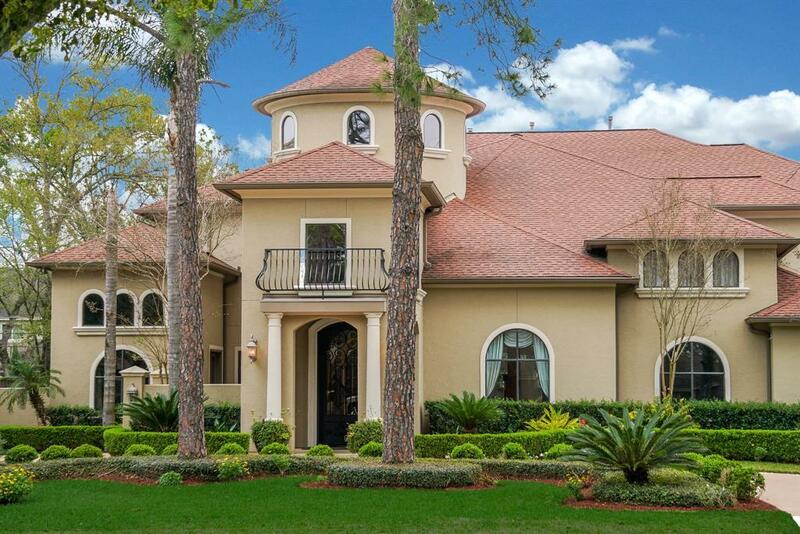 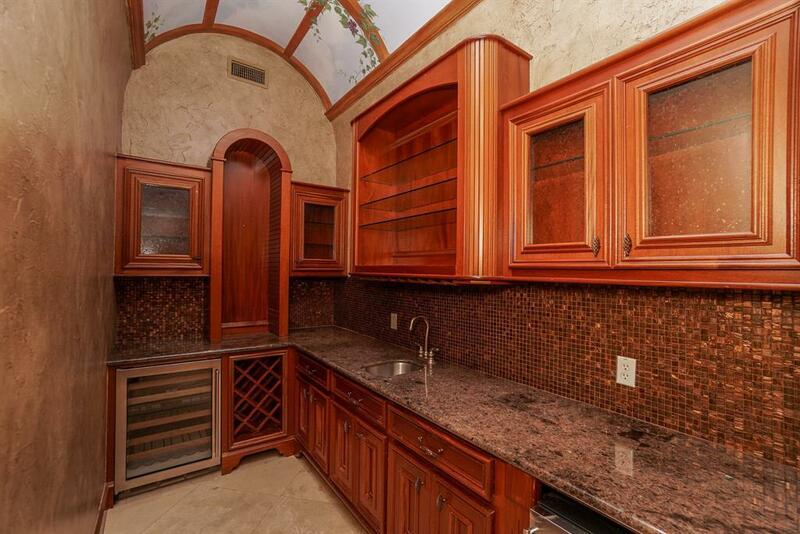 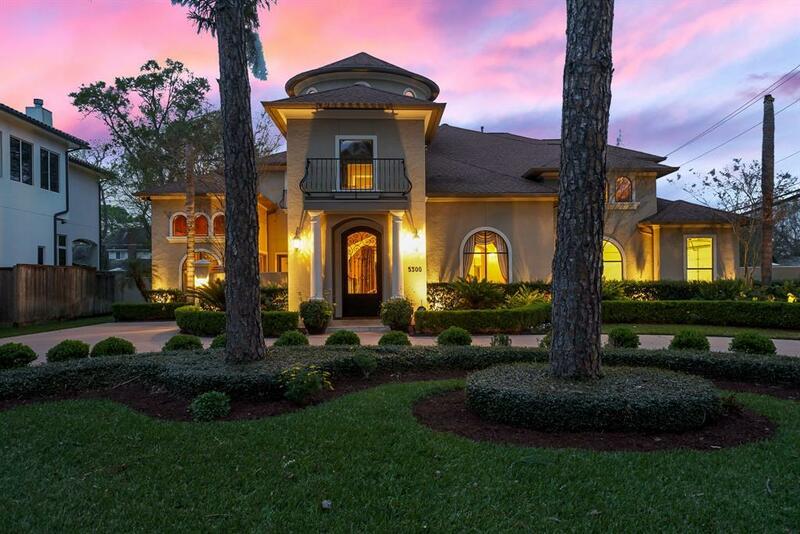 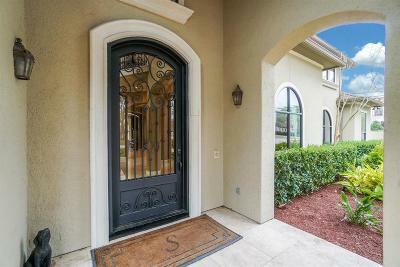 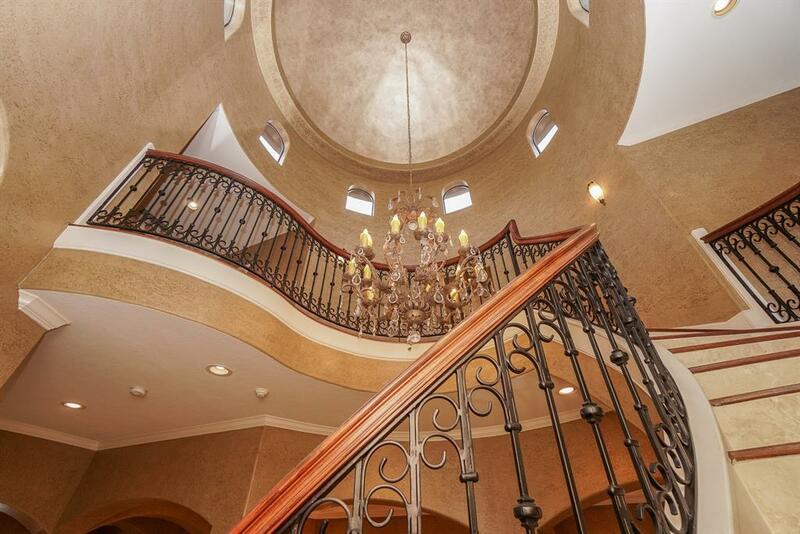 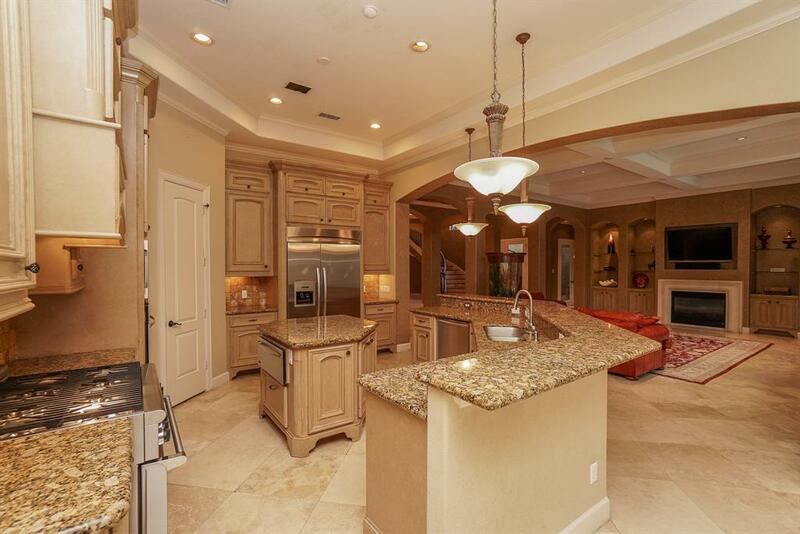 Enter into sophisticated entertaining spaces w/ wet bar & 32 ft tall rotunda w/ circular staircase. 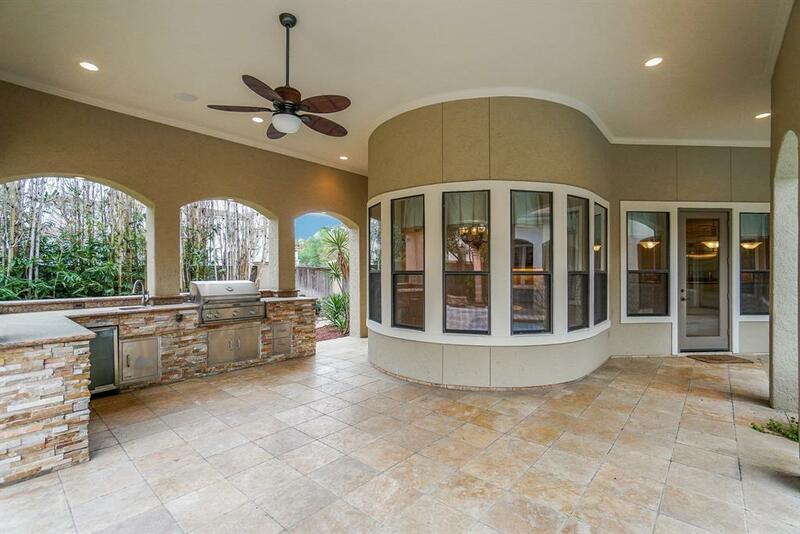 Wall of windows in family room offers views of the backyard oasis & is open to kitchen/ breakfast area for perfect entertaining. 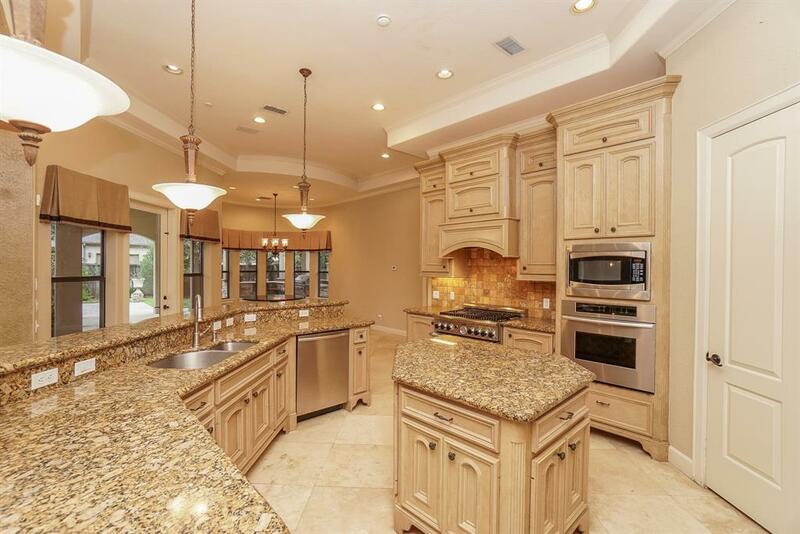 Chefs island kitchen w/ Thermador appliances. 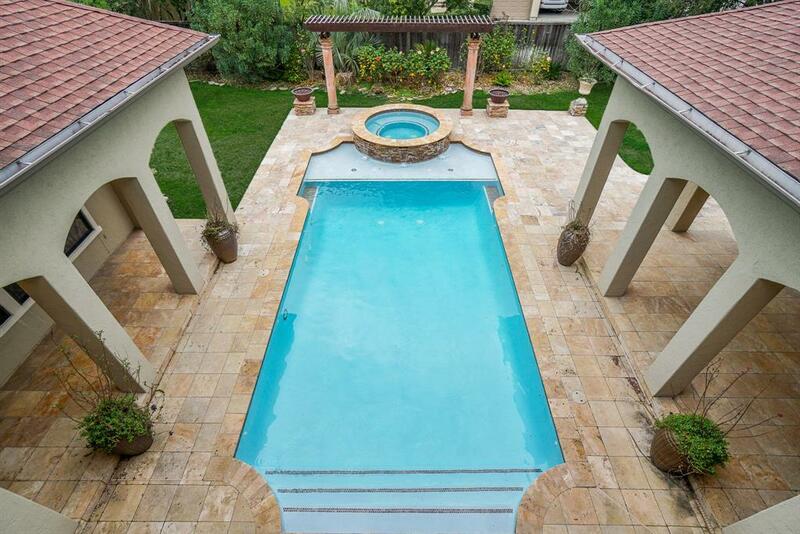 Mst suite-1st floor & overlooks pool area. 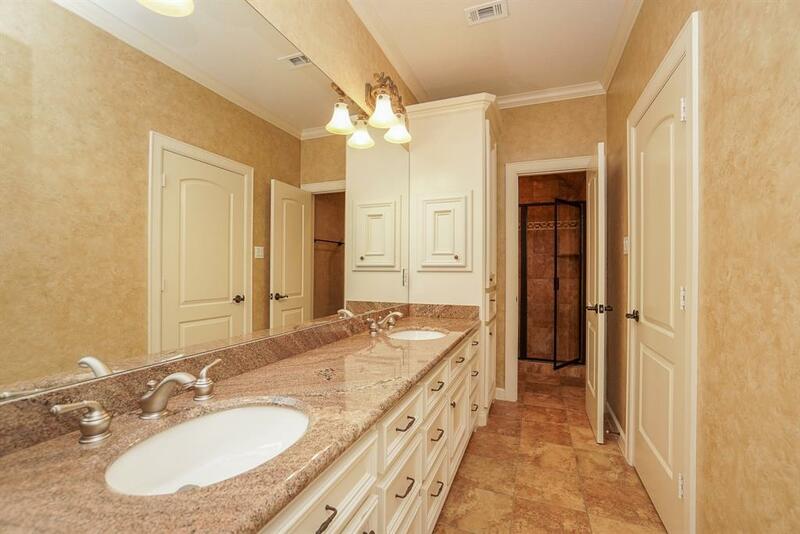 Mst bath w/2 walk in closets, his/her areas, lge shower & whirlpoool tub. 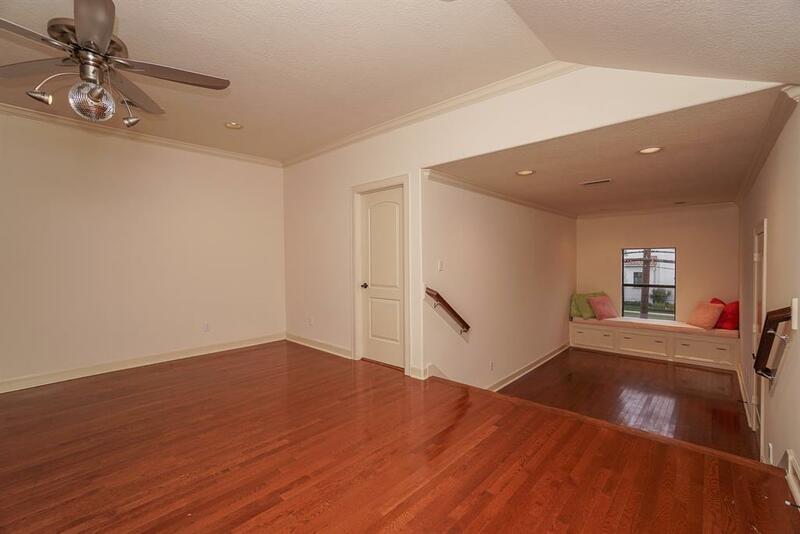 Secluded study on 1st floor. 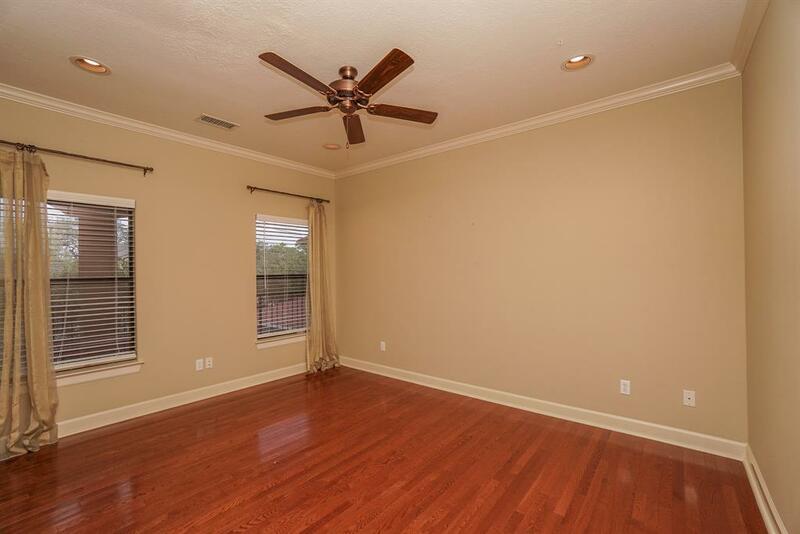 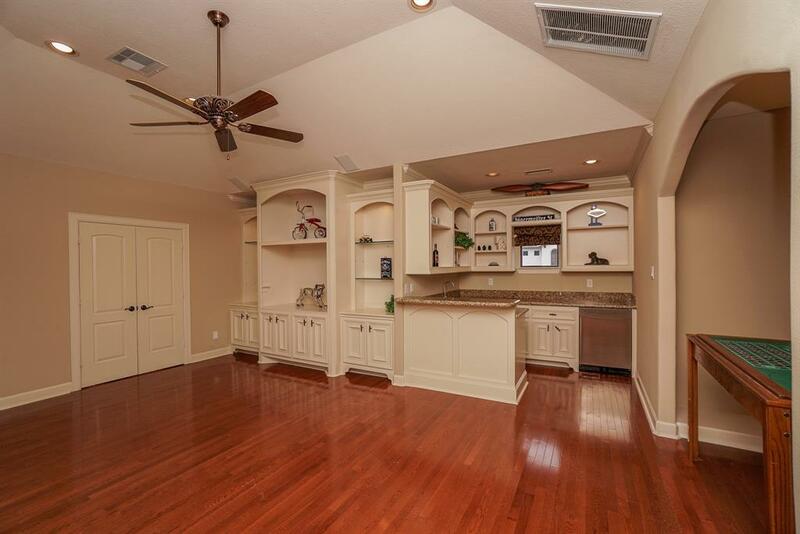 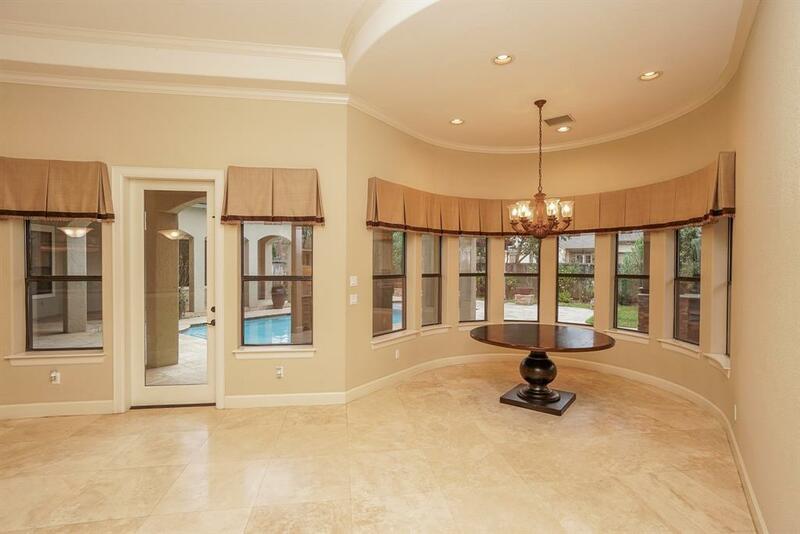 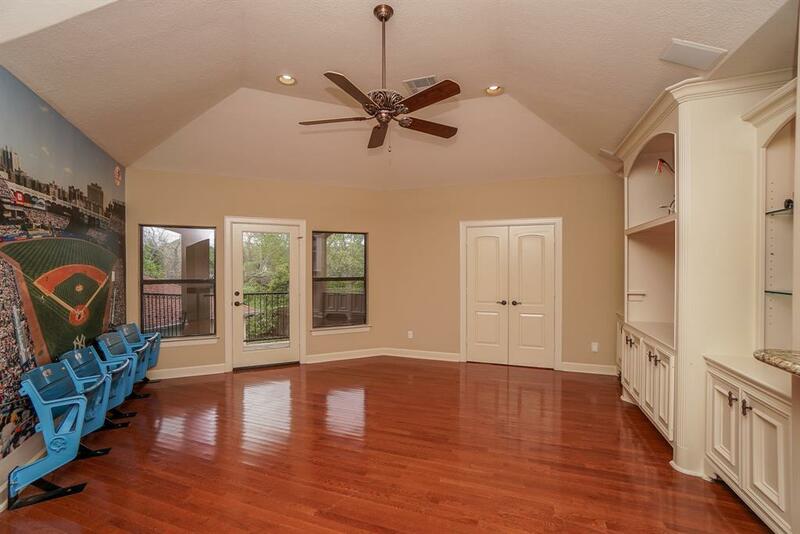 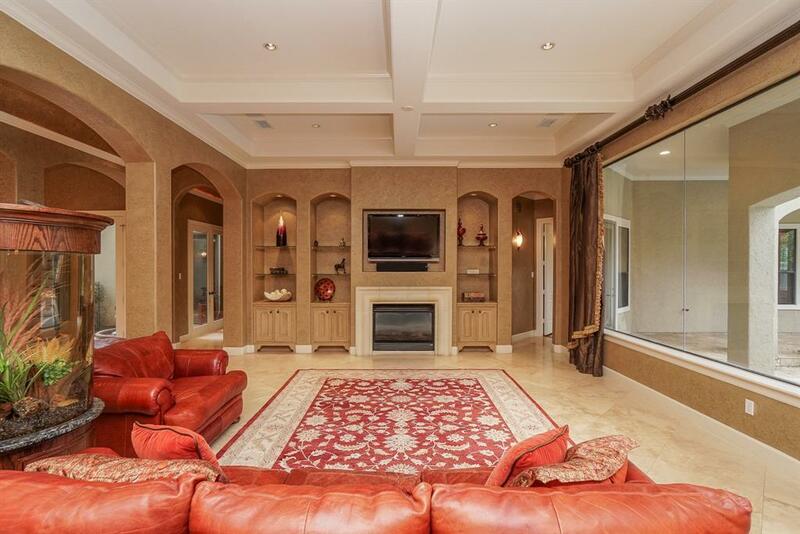 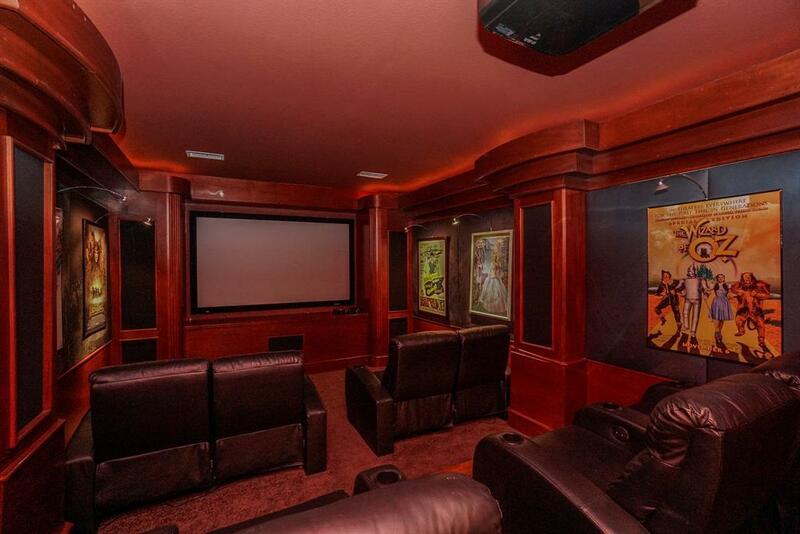 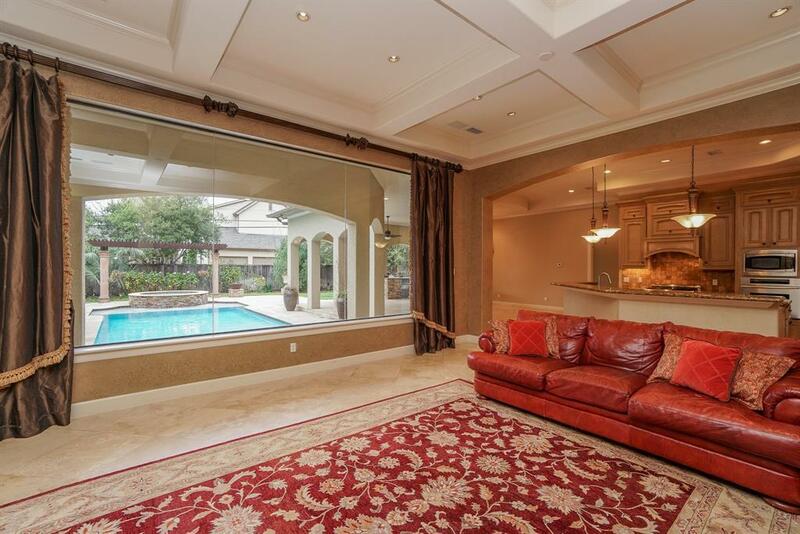 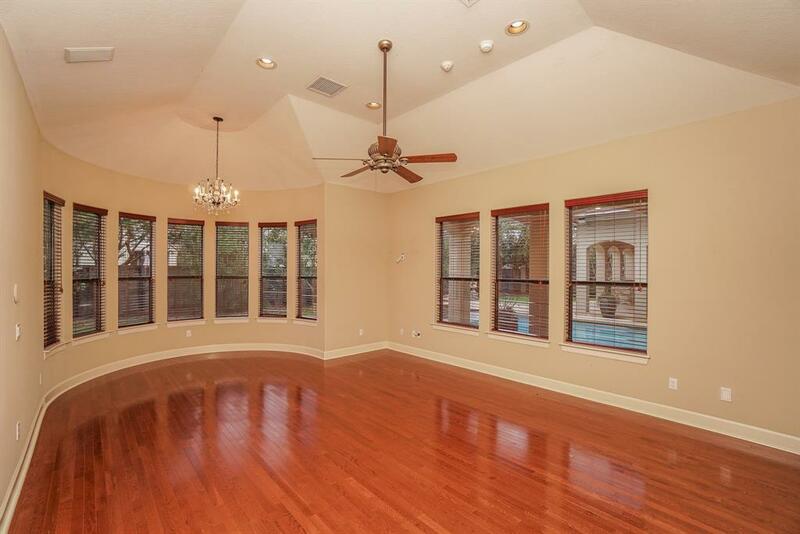 Upstairs boasts 4 bdrms, 4 baths, gameroom w/ large bar adjacent to media room, flex room & study alcove. 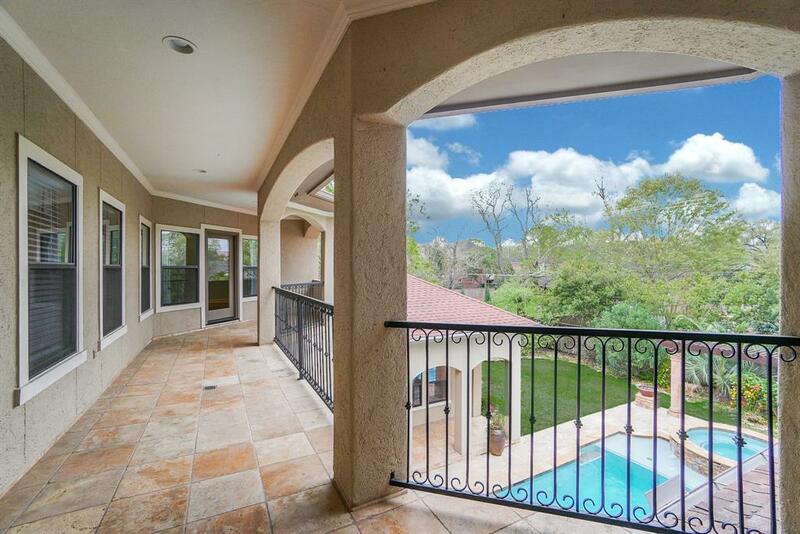 Large 2nd floor balcony overlooks pool area. 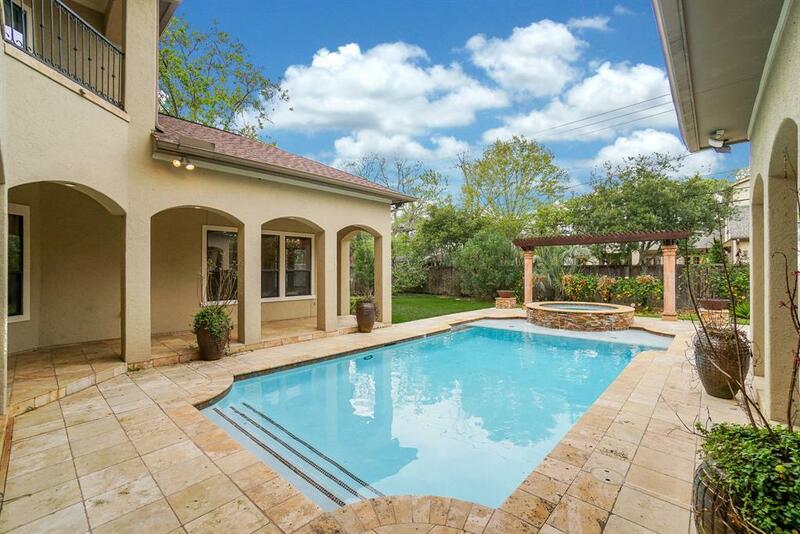 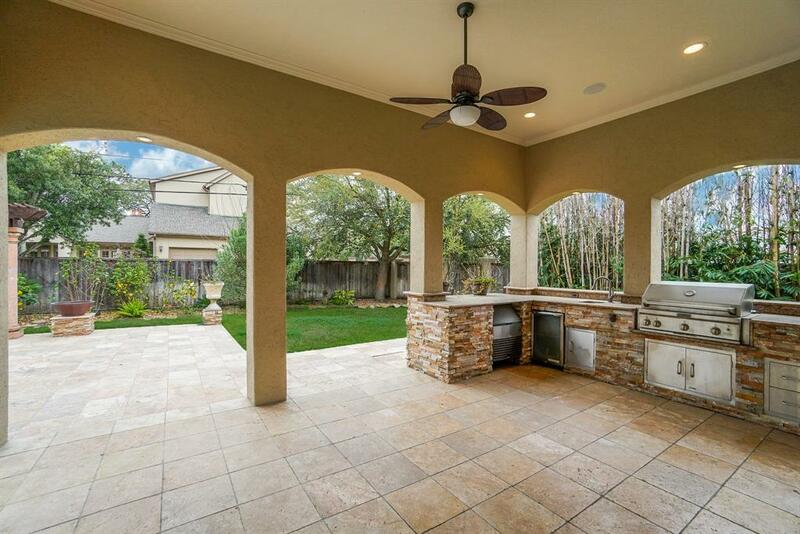 Resort style backyard w/pool/hot tub & large covered outdoor kitchen area. 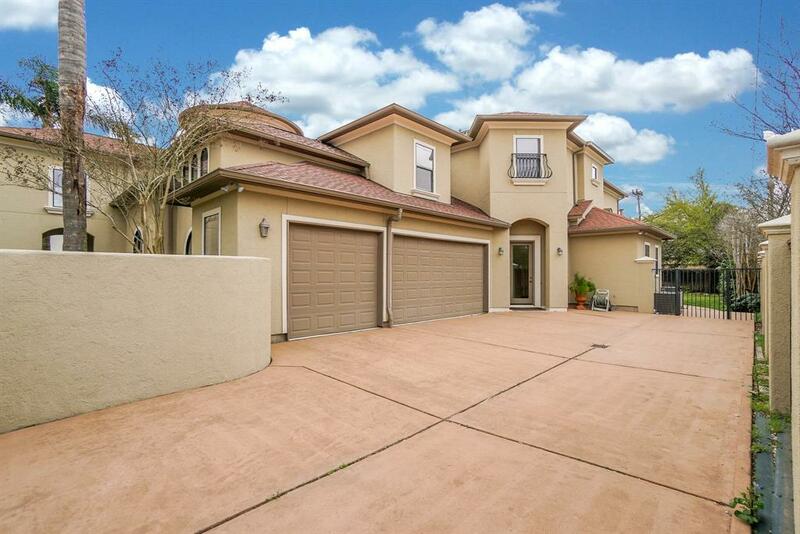 Circular driveway, 3 car garage w/ motor court. 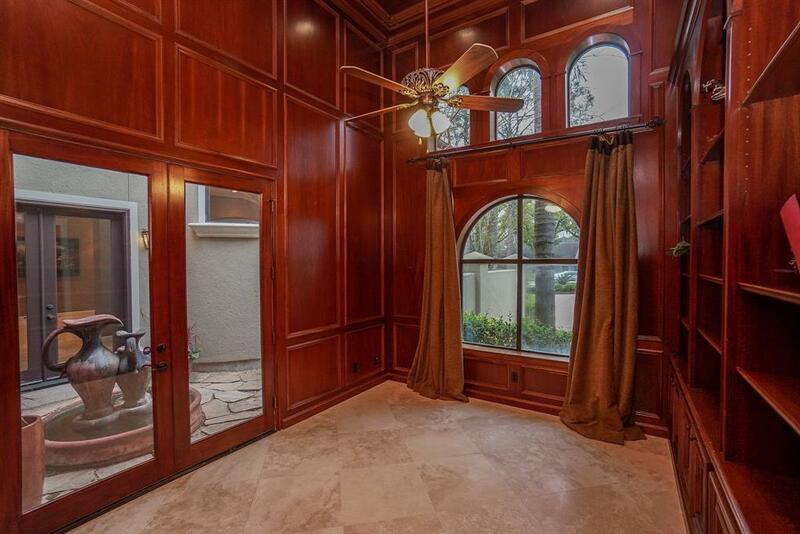 No flooding per seller. 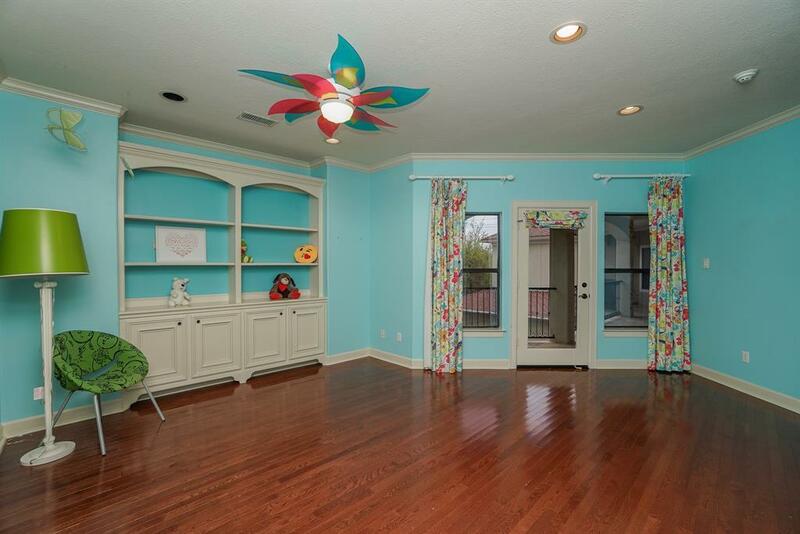 Zoned to exceptional schools and walking distance to Bellaire HS. 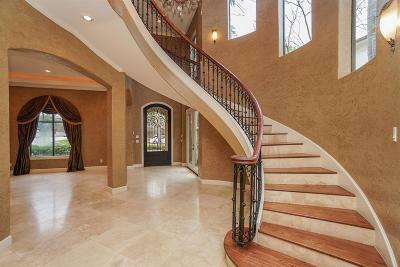 Directions: From 610. 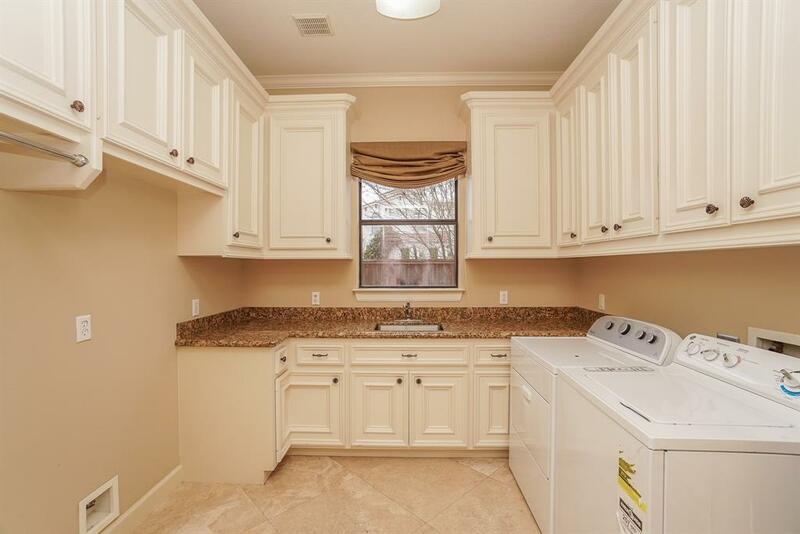 West On Beechnut. 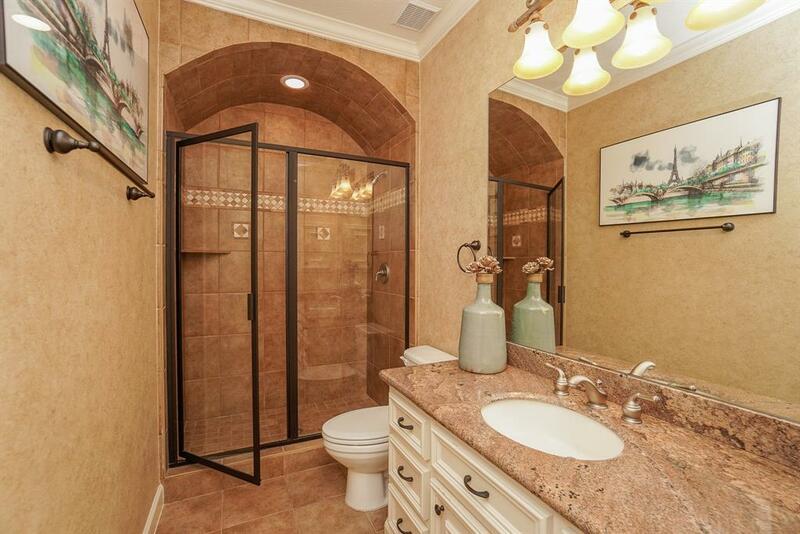 Right On Chimney Rock. 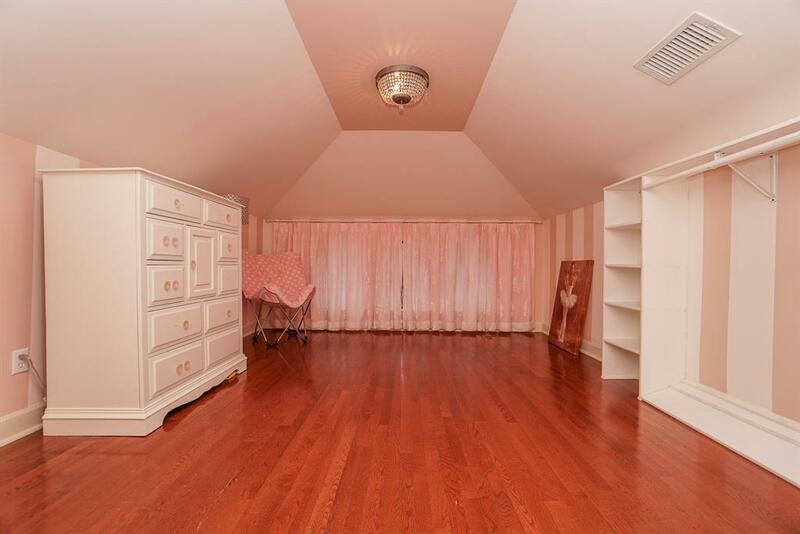 Left On Valerie. 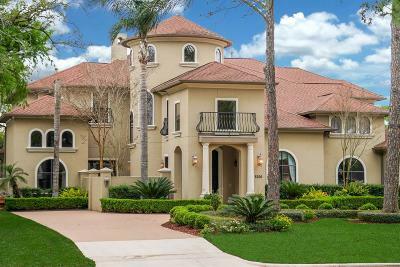 Home On Right.